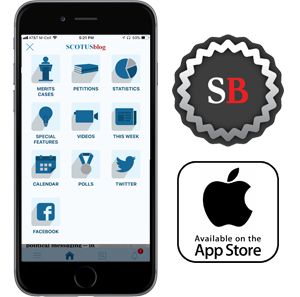 We live-blogged as the Supreme Court released its opinions in New Prime Inc. v. Oliveira and Stokeling v. United States. Good morning, and welcome to our live blog! We are expecting one or more opinions today in argued cases. Will we get an arbitration case from October, or an arbitration case from November? As we reported last week, Justice Ruth Bader Ginsburg is not expected on the bench this week. She'll participate by reading the briefs and transcripts of oral arguments, as she did last week. Will arguments in the second case (Azar) begin roughly at 11, or is there a time gap before it begins? Can there be any speculation based on which Justices haven’t yet written for the October sitting? The press room is abuzz right now because a federal judge has ruled against the Trump administration on the addition of a citizenship question to the census. The question now is what this does to the case in which the justices are scheduled to hear oral argument on February 19, involving the dispute over evidence in the trial. Gamble has the potential to be a blockbuster. I am hoping its decided soon. Also waiting for Gundy. @AmyHowe Interesting... when did this happen? Must have been minutes ago. Five minute buzzer sounded a minute or two ago. This will not be a huge surprise, but we have just one box today. For those of you who aren't regulars here, the number of boxes of opinions waiting in the PIO to be handed out is a rough proxy for the number of opinions that we can expect. Headed in now to wait for opinions. Back soon-ish. Googlenopes are phrases that are not in Google. How about "amicusnopes," for cases that have zero amicus briefs? Yesterday's TVA v. Thacker would qualify! We have arbitration case from October. It is New Prime v. Oliveira, from Gorsuch. The decision of the lower court is affirmed, and it is unanimous except for Justice Kavanaugh, who did not participate. Justice Ginsburg filed a concurring opinion. The court holds that a court should determine whether an exception to the Federal Arbitration Act under Section 1 of the act applies before ordering arbitration. Because the FAA's term "contract of employment" refers to any agreement to perform work, the court rules, Mr. Oliveira's agreement with New Prime -- he was a driver whose agreement called him an independent contractor -- falls within the exception for Section 1. Going back in for the next one. We have the second and final decision of the day. It is Stokeling v. United States, by Justice Thomas. 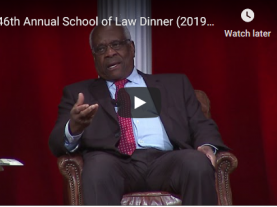 Interesting line-up: Thomas opinion is joined by Breyer, Alito, Gorsuch, and Kavanaugh. Sotomayor dissents, joined by Roberts, Ginsburg, and Kagan. The Court holds that a robbery offense that has as an element the use of force sufficient to overcome a victim's resistance necessitates the use of "physical force" for purposes of the Armed Career Criminal Act. Robbery under Florida law, the court continues, corresponds to that level of force and therefore qualifies as a "violent felony" for purposes of the Armed Career Criminal Act's "elements clause." @Amy Howe Could the Court simply throw out Dep't. of Commerce v. USDC-SDNY as moot, now that the federal judge ruled against the addition of the citizenship question? Or could the Court still answer on the merits just to set a precedent moving forward? It used to be that the opinions were not on the website until after the justice finished reading it (including any dissents from the bench). Now, the opinions are posted while the justice is still reading the summary. When did that happen? How many times previously has the Supreme Court held session when the rest of the government was shut-down due to a snow storm in DC? Yesterday was not the first time. Thank you for live-blogging these opinion days. I learn a lot just following along...! Fun fact, Public Justice who argued New Prime (for the respondent Oliveria) is also arguing the first case today. I'm sure everyone in the courtroom is relieved it is a victory for the workers (and PJ). @amyhowe Fast question ... how long after argument is it before you post transcripts? Can someone give me a quick run down on the Census case? Interesting opinion on the meaning of a word at the time when the legislation was passed versus its current meaning. Scalia would be proud the court chose the former. Amy/Andrew: care to comment on whether/how Justice Ginsburg’s absence affects Friday conferences? Might action on noteworthy cases be deferred until her physical return to conference? Has a District Court ever been a named party in a lawsuit at the Supreme Court before? Seems quite uncommon to me. Okay, that's all we have for today. The justices are holding a non-argument session next Tuesday, which *could* include issuing more opinions, but we just don't know yet. Have a good week, stay warm (if you are on the east coast) or dry (on the west), and hopefully we'll see you next week.